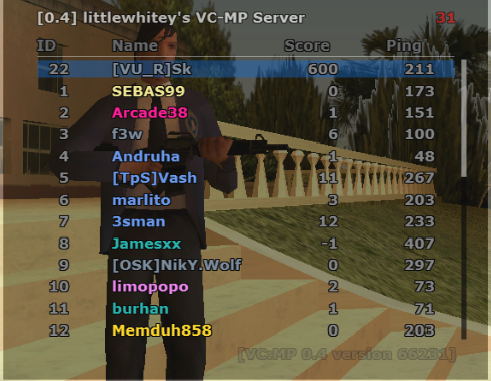 Littlewhitey's is a Deathmatch server and still many times it is not a challenge if 5 players from opposite teams are my friend and one of the players in other team is enemy, which many would prefer but I don't. Making sprees is not a hard job and earning is not hard either if we can easily team up with the good skilled players and kill only noobs. I suggest this teaming within other teams should be disallowed. The only team you should have is your own skin or your own skin colour others should be your target and your enemy. I bet noobs will have a better chance of surviving as there won't be 10 people shooting at them at the same time, there would be a fight going on multiple sides. One more thing I would like to have is person blip only visible to only his teammates. Think about it not knowing the location of the shooting enemy would be a better challenge than knowing the exact location of the enemy from all directions. So, my suggestions are to disallow teaming with other teams and making map blip and name tag only visible to your own team. That's what I was talking about for the past year, and even made a debate but yet nobody listened to me, and morphine kept saying "this is not an A/D server this is a tdm server"
Literally, I like this suggestion but at the same time I am afraid we will get loads of reports and probably fake reports. Both suggestions I would like to see implemented but I don't think it is entirely practical, not to poop on your ideas they are good, just doesn't work out too well given the circumstances. It would be nice to create a rule to disallow players from 2 different teams from teaming up but asskissing and favouritism is rooted deeply in the vc-mp community in general and that won't change by simply adding in a rule. All there gonna do then is add to the other problem which we already have of team balance. You'll get a more frequent situation of about 8 players on the green team vs 3 cops/bikers. Likewise, I can imagine moderating this to be a pain as there will always be an exscuse for these situations when accused in 1 v 1 v 1 situations. Trust me I would like this to work somehow, whenever I go ingame 70% of the players at downtown refuse to want to fight me. It becomes a game of having to get close enough to the player to see their nametag before I begin firing which is obviously not fun then when I do kill one of the 'friendlies' by accident they cry. Disabling player blips on the radar would also be much more fun and exciting. I have introduced the idea of something slightly similar to AdTec_224 to implement an off the radar feature in the past to hide your own blip for x amount of minutes by paying ingame $$$ to jam the radar. But to disable all enemy blips being visible entirely doesn't work too well on such a low pop server. I'd say it would be suitable for a server that could sustain on average 50+ players for a long period of time. However, littlewhitey's rises and falls. Having 10-15 players on the server without any blips wouldn't be as enjoyable imo. So the only way I can see the one above implemented is to have a script in place on the server for the blips to dynamically turn on and off based on the current player count. We are playing Hide and Seek? I can see that clearly, that is why I want this to be implemented only in Littlewhitey's. The thing about player count is only because old player doesn't find anyone to fight and they have to leave and play other games or servers because joining in a server with 20 players and 13 of them friends who would enjoy such gameplay? Adding one more thing to my suggestion to not have any ability to see name tags of the enemy, Not sure if this is possible but this would be more fun. Btw added one more suggestion to the topic. Not having the ability to see enemy blips isn't a good idea since I, sometimes, join the server when there are only 5 online...thus hindering the fairness of gameplay. The other idea is good but there are exceptions and would make a lot of trouble to the admin team. Because sometimes, a player wants to play alone against many others for a challenge. I see if this situation occurs, The rule gets only applied if the victim gets bothered and asks from admins to make the gameplay fair. If there are no admins, I suggest implementing a team-balancer system script that turns on automatically when all staff members leave the game. 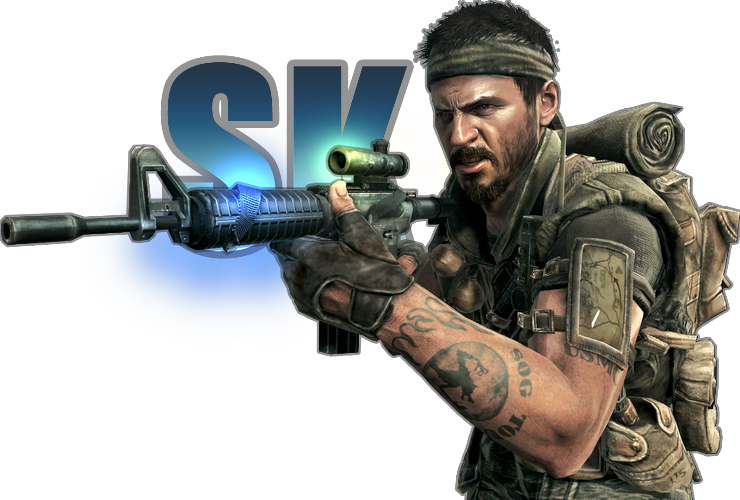 and @Sk I don't think we can disable nametags, The VCMP server/client-side scripting is too limited. As server-makers should stick to the plugins they have in their dedicated-server.